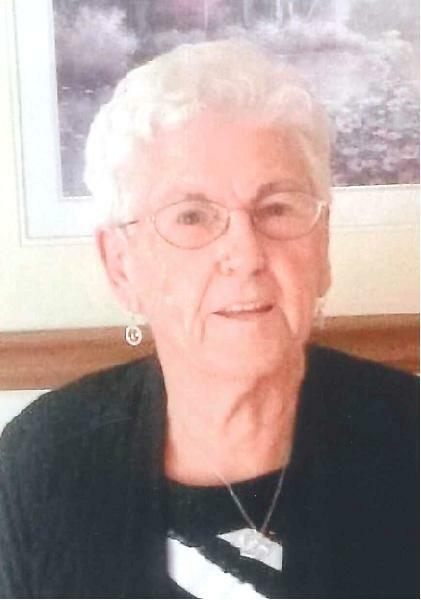 Marion Jean Kinchen, late of Weyburn, SK passed away on February 1, 2019 at the age of 94 years. Marion was predeceased by her parents: William and Jenny Brown; brother James Brown; daughter Linda Bell; a son in infancy and a grandson in infancy. Marion is survived by her husband Elwood; Linda’s children: Troy (Alisha), [Nevaeh, Lexie], Ryan, [Brooklyn], Jared (Lyndsay), [Carter, Spencer], daughter Beverly (Jim) and her children: Curtis (Deanna), [Emilee, Isabella, Benjamin, Amber, Quinnton], Kylee, [Tallon, Ja Tava, Trysen, Kaylani, Mekhi], son William (Brenda) and his children:Jayson (Staci), [Griffin, Finley, Keely (James), Zachary, and Caden], Tamarah (Kurt), [Jayde], Tylor (Erin), [Zachary and Lucas], Wayne (Chantelle), [Koen, Aidan, Alexis], Amanda (Devin), [Hallee, Bailey, Asher]; son-in-law Rick (Judy). A Private Family Service of Remembrance was held at RD Family Funeral Chapel, Weyburn, SK. Interment will be held at a later date at Green Acres Memorial Gardens, Weyburn, SK. For family and friends so wishing charitable donations in memory of Marion may be made to Tatagwa View, 808 Souris Valley Road, Weyburn, SK, S4H 2Z9.